Shandong Leading Machinery Co., Ltd.
1.Function apply to potatoes, carrots, beets, taro, sweet potato, peeling and cleaning. Material in contact with the rotating brush roller to produce surface friction in the U-shaped hopper. There is a water pipe on the top to spray the materials , so as to achieve the purpose of cleaning. It adopts the advanced principle that materials turn inside the rollers with brushes. The vegetables tumble rotating in a circle inside the rollers deasil and clockwise. 5.We can also customized made the constant speed charge for connecting production line with screw vane. Shandong Jiaxin Industrial Equipment Co., Ltd.
2. Our company take charge to provide related technology consulting for free, and according to the actual product is free to provide equipment design. Sale service: 1. Our company provide installation instructions for the product and free training for the customer to product production technology, can arrange technical personnel door-to-door free training according to the needs of customers. 3. During installation, our company will provide technology consulting and equipment installation debugging field training, to ensure the normal use of the customer. Dezhou Chuang Yuan Food Machinery Co., Ltd.
Service on sale 1. Test every machine and inspect the machine seriously. 2. Send the machine picture which you order ,then packing it with standard export wooden box after you confirm the machine is ok. Service after sale 1. Free insurance for goods 2.24 hours online to solve any problem. 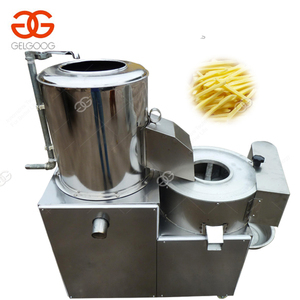 the big output Peel potatoes cleaning machine Feature of Fruit and vegetable Washer 1. It adpot three functions : bubbles ,spraying and brush cleaning . So that this machine is energy saving, high capacity, low noise and steady work. The main parts of this machine adopted double bearings, and the chain and chain wheel are durable. Professional and correct installation can make equipment work steadily, avoid unnecessary trouble, and decrease a lot of maintenance cost. You have to find the truck to transport the equipments, have to find a place to collect them together,have to find worker to load the container,etc. Our factory have strong custom capacity,which can make any shape,any size of stainless steel products according to the kitchen layout. Xinxiang Youna Machinery Co., Ltd.
Our machine is just born for peeling and cleaning potation. the water system can rush the mud and skin out of barrel. 5.It is widely used for restaurants, hotels,and other vegetable processing units . Henan Yuer Machinery Equipment Co., Ltd.
Zhejiang Qianjiahui Electric Appliance Equipment Co., Ltd.
Q1 : Are you a trading company or manufacturer9 A: We are a factory with 12 years of experience in this industry. Q4 : Can you make customized designed products9 A: We can make the products according to customer&rsquo;s requirements, like the size, logo and details. Q5 : What is the delivery Time9 A: For the regular equipment, the delivery will be made about 20 days. 2. 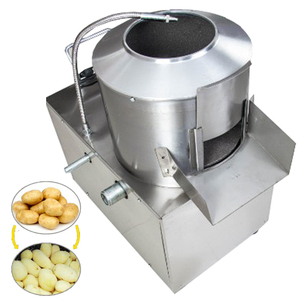 The potato peeler is an ideal peeling equipment owing to high peeling rate, low breakage and automatic operation. 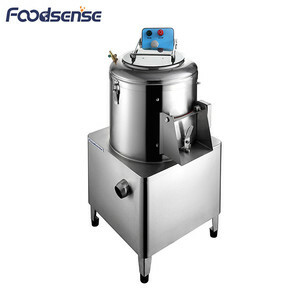 3.The whole machine is made of food grade stainless steel, easy to clean and maintain with long service life. Meanwhile, there is one water pipe on the top of machine to wash away potato skin after peeling. Shandong Refine Fruit & Vegetable Machinery Technology Co., Ltd.
Now we are the biggest direct factory that majored in manufacturing fruit and vegetable processing machine in China. 2.Further negotiation about the technical details, machine configuration, price basis, payment term and delivery time. Or photos and video of the machine and package for your confirmation before shipment. We have different models about this machine, you can choose the model according to your needs. 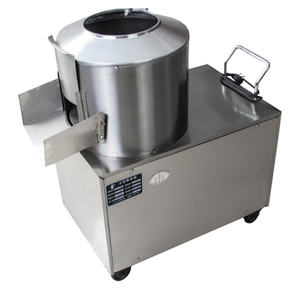 The machine is widely used for restaurant, hotel, mess hall, home and other vegetable processing units. 2. This machine can washing, peeling and cutting by one machine. 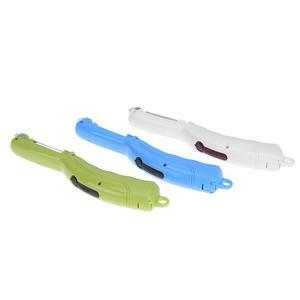 Dongguan Hengxing Kitchen Equipment Co., Ltd.
2. 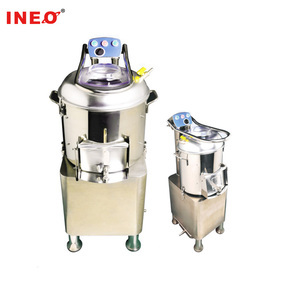 Using high quality stainless steel for Potato Peeler , the case not rust, clean sanitation. We can make the machines (Potato Peeler) according to customers' requirements. Our web URL: If you have any questions, please feel free to contact us! Q: Is peeling a potato physical change? A: Both . The physical changing is the onion is sliced . The chemical changing is the exposure of the odour arousing chemicals to the air with resulting oxidation and releasing to the air . Q: How do potato clocks work? Q: Can you plant potato peels to get potatoes? A: First , you go to a shop . Buy a potato peeler . After that , go to your house . Get a potato . Put the peeler at the top of the potato . Push the peeler down the potato really hard . Repeat this process till all skin is peeled .